Not many people are truly familiar with what went on at the very core of the Death Star. Although most know of it’s very large power reactor, once the Death Star’s capacitors were fully charged, the reactor would be shut down and moved for maintenance, the core would then be used as a place for social gatherings. The Death Star’s gravity was created with both a spinning, war ready crust, and the central core which spins in the same direction but quicker. The inside walls of the core had 360 degree omnispherical seating installed for up to 32,000 spectators, each held in their seat with the gravity of the core’s rotation. 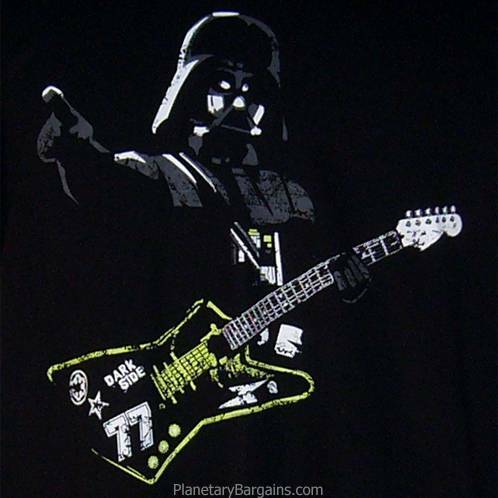 At the very center of it all, Darth Vader would often float weightlessly in front of a massive mesmerized audience, playing awesome mystical sounding evil hard rock tunes through his sith crystal powered axe guitar.